Lord Ganesha is considered to be the most auspicious among the Hindu deities. He is considered as a great boon-giver. 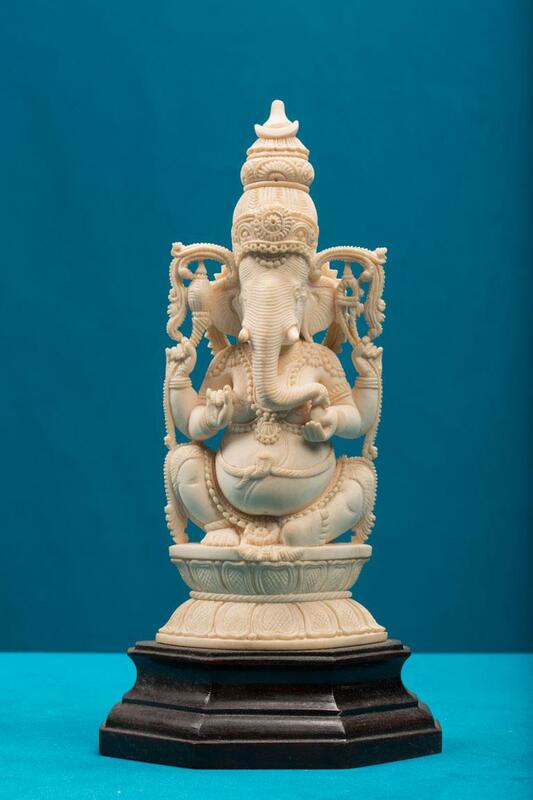 Here in the given artefact, Lord Ganesha is pictured seated with a sweet in his hand. The image is elegantly carved .The crown that the Lord wears is equally intriguing.